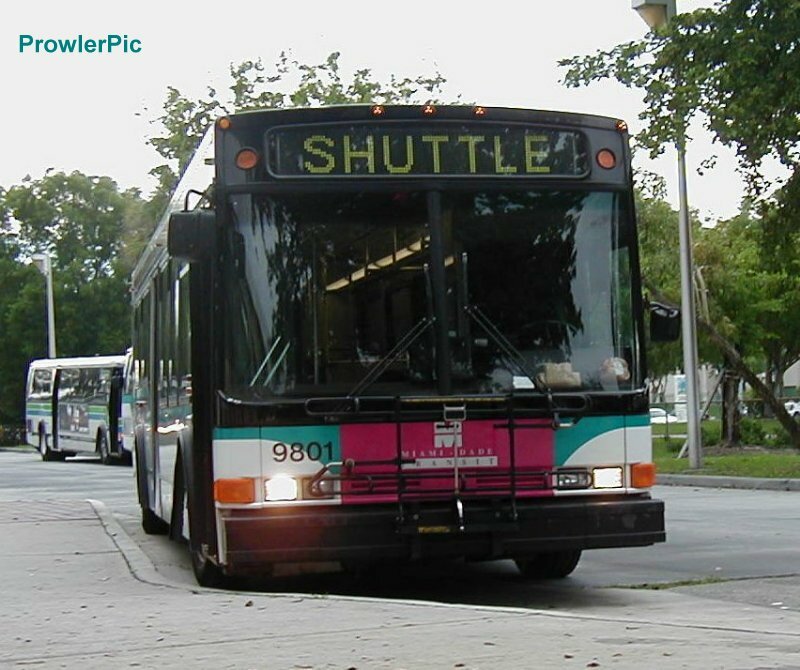 The 9800 series were the first low floor buses ordered by Miami-Dade Transit. All but 9801 were actually built and delivered in 1999. They are powered by the Detroit Diesel Series 50 mated to the Allison B500R automatic transmission. All 19 (9801-9819) are still in service. Bus 9809 at the short turn around for the line 87 in Doral. Bus 9814 at Central yard in 1999. Bus 9804 rumbles south on the South Miami-Dade Busway on line 136. Bus 9801, the only 9800 built in 1998 at Douglas Road Station on a shuttle assignment.